Hamid Karzai, the former president of Afghanistan, has questioned the existence of al-Qaida, and denied that the 9/11 terror attacks which killed nearly 3,000 people were planned in Afghanistan. On the eve of the anniversary of the 2001 attacks, Karzai, who left office last year after 12 years, used an interview with al Jazeera to express his doubt that the terrorist group led by the late Osama bin Laden was responsible for the operation which prompted the invasion of Afghanistan. Karzai, who had a poor relationship with successive leaders in Pakistan, also claimed in the interview that Islamic State fighters in Afghanistan are “definitely” members of “Pakistani militias”. The former politician, who was the chosen candidate of the US to take over a new administration in the wake of the collapse of the Taliban regime in Afghanistan following the 2001 war, clashed repeatedly with Washington during his rule. 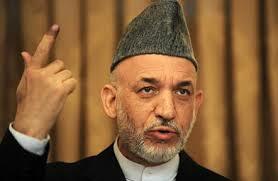 Appearing on Al Jazeera English’s new weekly show, UpFront, Karzai declared as “fact” that 9/11 was not plotted in Afghanistan, despite overwhelming proof that Bin Laden and close associates such as Khaled Sheikh Mohammed organised the operation while based in camps or houses in the east and south of the country between 1999 and 2001. In the interview on Thursday, the former president said he had “never come across” al-Qaida. Bin Laden claimed responsibility for the attacks on several occasions, and videoed testaments of participants in the attacks were recorded in Kandahar, where the men trained in al-Qaida camps. Bin Laden arrived in Afghanistan in 1996, flying from Sudan where he had been living in exile since 1991. He was based first in hills south of the eastern city of Jalalabad before moving south to Kandahar, the spiritual and administrative headquarters of the Taliban. Many witnesses have described Bin Laden’s movements in Afghanistan during 2001, while vast quantities of al-Qaida-related material was recovered from training camps across Afghanistan by journalists, soldiers and spies. Only last month an audio tape surfaced including a segment of a speech made in Afghanistan by Bin Laden in the summer of 2001 in which he promises a significant operation in the US soon. Al-Qaida has since been largely eclipsed by its own offshoot, the Islamic State, which has established a small but growing presence in Afghanistan. Most analysts and security officials believe the group’s affiliate in Afghanistan is largely composed of disaffected members of the Taliban, but Karzai dismissed any Afghan connection with the group and pointed the finger at neighbouring Pakistan. “[The Islamic State] … has no ground [in Afghanistan] at all. There is no element, there is no medium, for them to grow, or to rise, or to strengthen,” he said. In recent months, Karzai has repeatedly been accused of attempting to undermine his successor, Ashraf Ghani, but in the interview, he ruled out an attempt to return to the Afghan presidency.